If the mainstream media could devote just one-tenth the energy to fact-checking that they do to wailing indignantly about President Trump’s accusing them of spreading “fake news,” maybe they wouldn’t be spreading so much fake news. This past week brought such a silo of fake news, I’m stunned they managed to get it all out so fast without renting a John Deere manure spreader. In the space of just seven days, media outlets managed to befoul their own reputations multiple times. To hit just the highlights: Brian Ross of ABC got barred from ever covering Trump again by falsely claiming that Trump ordered Mike Flynn to contact the Russians before the election (it was afterward.) Then the New York Times claimed that an email proved former deputy national security adviser K.T. McFarland lied about Russia helping Trump win (it didn’t.) There was a false report that Robert Mueller subpoenaed Trump’s Deutsch Bank loan records. Then on Friday, CNN went wall-to-wall with a “bombshell” story claiming that Donald Trump Jr. received an email on September 4th of last year, offering him advance access to WikiLeaks’ trove of DNC emails. But the bombshell blew up in their faces when it was revealed that the email was actually sent on September 14th, one day after WikiLeaks released the emails publicly, so it wasn’t advance notice at all. Held up in an Ecuadorian embassy in London, Julian Assange remains editor in chief of the global whistleblowing website, Wikileaks. On Friday, the founder of the company has challenged CBS to a friendly wager. Assange has put $100,000 on the table if CBS can prove they are not fake news. Recently the broadcasting station has put out a story that claims the Trump family has close ties with the fugitive. Assange took to Twitter to criticize the conglomerate. The most recent story Assange is referring to is a tale of collusion. CBS claims Wikileaks offered Donald Trump Jr. with exclusive early access to leaked documents in September of 2016. The Russia Investigation Circus Is Over. Will There Be A Parade? You will recall that former Director of National Intelligence Jim Clapper, today’s P.T. Barnum, set the stage for this circus when he claimed that the intelligence Community was unanimous in its assessment that Russia influenced the election. For months the Democrats and the media — but I repeat myself — told us that 17 intelligence agencies agreed. They did not, of course. The only agencies involved were the Central Intelligence Agency, the Federal Bureau of Investigation and the National Security Agency — and the NSA had only moderate confidence in the estimate. Later Clapper admitted that the conclusion was not even arrived at by the agencies, but by a handful of selected players in these agencies. I’m willing to bet that the FBI’s head of counterintelligence, Peter Strzok, was one of those players. This entire narrative rests on the assertion that Russia hacked the Democrat National Committee computer server and released, over the course of the campaign, emails that put Mrs. Clinton in a bad light. How do we know that? Why, we took the word of the private company hired by the DNC attorneys who told us that. We have the most competent criminal investigators in the world. They have grand jury and subpoena powers and are employing all of it against President Trump, his children and his associates. Did they employ those vast powers to get access to the DNC server and discover for themselves whether it was Russia, or perhaps a disgruntled employee, who actually got access to the emails? What else did the DNC lawyers arrange? Why, they arranged launder millions of dollars from the Clinton campaign and the DNC to pay Fusion GPS to produce a dossier full of salacious charges against Trump. They paid Russians. It was arguably illegal. This dossier has been in the hands of much of the media and our vaunted intelligence services for over a year and none has yet been able to verify the charges. All circuses, of course, have a tiny car full of clowns. First came Associate Deputy Attorney General Bruce Ohr who met secretly with the authors of the bogus dossier. He kept this secret from his bosses. I wonder why? Then, climbing out from under the hood came Andrew Weissmann, whose past history of prosecutorial misconduct clearly earned him a starring role in this circus. He sent his fawning congratulations to the Acting Attorney General for flagrantly refusing to carry out a presidential order that her own legal counsel determined was a legal order. Weissman’s anti-Trump bona fides are in fine shape too. Then came the head clown, Peter Strzok, who found the time to text his mistress thousands of times while helping FBI Director Jim Comey write a memo that exonerated Mrs. Clinton in the email investigation before she was even interviewed. Strzok then interviewed Mrs. Clinton without putting her under oath. No notes exist. He allowed co-conspirator, Cheryl Mills to sit in on the interview playing the role of Mrs. Clinton’s attorney. Strzok had already interviewed Cheryl Mills and Huma Abedin who both told him that they were unaware that Mrs. Clinton had a private server though there are emails from them referring to it and Abedin had her own email address on it. Nothing to see here. Move along. Strzok sandbagged Michael Flynn into an interview that Flynn did not need to participate in, but Strzok concluded that Flynn told the truth. In the center ring breaking down doors and intimidating American citizens was none other than the ringmaster, Bob Mueller, who decided months after Strzok interviewed Flynn that he needed a scalp. He overruled the person actually in the room for the interview and decided that Flynn lied after all. We will soon discover what else the loquacious Peter Strzok had to say in 10,000 texts. It was more than just the admission that he, like the rest of the clowns, was a Democrat. That wouldn’t even be newsworthy. What if we learn that he repackaged the bogus dossier as an FBI intelligence document in order to get a FISA warrant to spy on Trump’s associates? If our government misrepresented Democrat opposition research as an FBI intelligence document in order to get a warrant to spy on Trump associates and failed to disclose that to the grand jury which indicted them, the entire chain of events is as bogus as the dossier and will be thrown out of court by an angry judge. They need to gently and mercifully strike the tent. There will be a parade. It will be the abused friends of Trump marching up to the ticket window get their legal fees back. The other parade will be heading out of town. That guy with the shovel following the elephants and Peter Strzok is Bob Mueller. John Linder is a former member of the U.S. House of Representatives from Georgia. The Russian investigation is just starting to gear up contrary to your wishful thinking. The fact that 4 men have been arrested and two pleading guilty exacerbates the problem for middle surrogates up to Trump himself....but you already know this and to elicit any other factor is only a game of desperate diversion. "Pay NO attention to the man behind the curtain!!!" Kyle I agree that compromise has been considered bad. Be it state or federal, the legislatures work more for the majority and minority leaders than their own constituents. Opposing views give a small balance and aren’t always 100% fake but the media, all media, has been caught repeatedly publishing fake news that gets repeated. Just as long as we remain cogent of the fact that opposing views do not necessarily warrant equal consideration. Fairness is one thing, balance is something altogether different. Nor do "Bad" views deserve balanced considerations. Sometimes compromise is one-sided in the interest of serving the greater good. Another thing to keep in mind, is that errors in reporting are NOT fake news. Repetition of such errors are the product of lazy or careless journalism and lazy consumers of news. "Fake News" is, by definition, intentional and the "media" is not to be compared to legitimate news outlets. NOT "all" news services disseminate "fake news" as you appear to be suggesting (nor does all 'media' for that matter). Forgetting the long stream of them puking from FOX "News", are you? You've got some nerve, Pal. Anything and everything I personally disagree with is "fake news". The Russian investigation is just starting to gear up contrary to your wishful thinking. Really! Please show something other than your opinion. Michael Flynn has pled guilty to a felony and is cooperating with Mueller for reduced prison time. The charge brings the criminal case into the Trump White House and raises questions about who else in the administration Mueller could be eyeing. Former national security adviser Michael Flynn pleaded guilty on Friday to one felony count of lying to the FBI about conversations he had with Russia’s ambassador last year, bringing the special counsel’s investigation into the 2016 election deeper into President Donald Trump’s inner circle. The only gearing up has nothing to do with any fake news Trump Russian collusion. But there might be a connection to Hillary. Tony Podesta, the brother of Hillary Clinton’s campaign chairman, and his lobbying firm are also now a subject in Mueller’s investigations because of the firm’s involvement with Manafort’s PR campaign for a Russian pro-Ukraine group. Fake news, Mr.Mueller is in no rush to connect the all the dots which is all the reason that 4 arrests and 2 indictments are factual. Now for reality explain Trump Jr. being question along with 2 indictments being utilized for further indictments? Mueller's unknown position is the very reason you're here attempting to surmise a defense before you know the questions.......trump will fall before 2018 is ended but you know that much don't you? your Obama/Hillary talk won't delay the destruction in the least. matter of fact, Mueller's is smart enough to question the obvious, why all the push back of getting to the bottom of this investigation? you know that answer as well. The quickest way to clear up one's guilt is to put all your cards on the table and shortened the agony but you can also prolong the agony by attempting to avoid the obvious......... guilt. As stated ,2 men are doing some serious talking to avoid jail time....if I were a fly on the wall, I would say that two are talking fast and furious while others are sweating bullets. My Nephew being a law officer has it so right, the most obvious culprits will viciously start the blame game by stating "How about him/her and they did such & such" He'll patiently allow them to state their case and when they're done, he will respond in an calming manner "yes I hear you but for the time being, I got you"
But but but you say Rich? FAKE NEWS! GOD IS A BLACK WOMAN! ROY MOORE DOESN'T KNOW THE ELECTION IS OVER! ROY MOORE HAS LESS CLASS THAN ANYONE I KNOW EXCEPT DONALD TRUMP. From Breitbart where I get a lot of my news. Nope. God has left the building and is over at the Doug Jones victory party. No no no, ya got it alllll wrong. See they say god is in control when good things happen, or when they HOPE something will happen. But the evil they do? That’s all the devils fault. They can’t be accountable for their own actions. No sir. Roy Moore showed his classlessness over the last 3 days by not conceding to an embarrassing lost but attempting to drag the state AG into the narrative by suggesting an automatic recount. When classless, always classless. Yes! and Trump would of won the popular vote except for those 3 million fraud votes for Hillary! Alabama Republican Roy Moore on Friday told supporters that the "battle is not over" in Alabama's Senate race even though President Donald Trump and others have called on him to concede. Moore sent a fundraising email to supporters asking for contributions to his "election integrity fund' so he could investigate reports of voter fraud. "I also wanted to let you know that this battle is NOT OVER!" he wrote. Democrat Doug Jones on Tuesday defeated Moore by about 20,000 votes, or 1.5 percent, according to unofficial returns. Jones was able to energize a traditionally weak Democratic network, CBS News' Manuel Bojorquez reported. He was buoyed largely by millions in outside money and outspent Moore 10 to 1. His campaign says supporters knocked on 300,000 doors and made more than one million calls. But Moore, who has been accused of sexual misconduct with teenage girls when he was in his 30s, has not yet conceded the heated Alabama race to fill the seat that previously belonged to U.S. Attorney General Jeff Sessions. Moore told supporters that the race was "close" and some military and provisional ballots had yet to be counted. Those are expected to be counted next week. Moore said his campaign is collecting "numerous reported cases of voter fraud" to send to the secretary of state's office. Merrill said his office has investigated reports of voting irregularities, but "we have not discovered any that have been proven factual in nature." Mr. Trump, who had endorsed Moore, called Jones to congratulate him on his win. On Friday, as he briefly spoke with reporters, Mr. Trump said he believed Moore should concede the race. The results of Alabama's Senate race will be certified between Dec. 26 and Jan. 3 after counties report their official totals. What Happens if Roy Moore Never Concedes Defeat to Doug Jones? Roy Moore is refusing to accept that he was defeated by Doug Jones in Tuesday’s Senate race in Alabama, but some lawmakers feel his denial is likely a publicity stunt that won't affect the outcome of the election. Merrill, who is in charge of the certification, pointed out that any candidate can request a recount, so long as they are willing to pay for it. Moore hasn’t said anything about funding a recount. A viral rumor went around social media claiming that black voters were caught trying to vote with fake IDs. The theory was debunked by Snopes, as was a rumor that vans of illegal voters were in Alabama voting for Jones. Merrill said that there were no actual reports that indicated any voter fraud. I think that was obviously taken out of context. Unfortunately Fox tries to do that every day. I think that was taken out of context. Undoubtedly, and without a sense of irony, to boot. He is trying to undermine the media and trying to make up his own facts," she said about Trump. "And it could be that while unemployment and the economy worsens, he could have undermined the messaging so much that he can actually control exactly what people think." "And that, that is our job," she noted, referring to the media. She tweeted later that she "said the media's job was to keep President Trump from making up his own facts, NOT that it's our job to control what people think." Donald Trump’s recent attacks against the FBI and entities investigating him lead many to believe the president would prefer running an authoritarian police state. Absolutely, Putin have those that opposes him, mysteriously put to death, adversely Trump attempts to destroy their names and reputations, fires people that opposes his agenda, those that faces his wrath are fired or disgraced. He doesn't work with the people or Congress but expects Congress to work for him, criticizes and threatened to dismantle the very agency that polices this country...shall be say more? First of all, you've misrepresented Edward's comments. Secondly, most of his assessments ignore key points that completely change the figures that you selectively posted. And thirdly, personal tax breaks are temporary. Those for corporations and the wealthy are PERMANENT. Kinda shoots your narrative all to hell, doesn't it? The Daily Signal, The Heritage Foundation’s online “news” website, debuted Tuesday, offering up vagaries and unverifiable assertions aplenty, but too few empirical facts and little in the way of attribution. Its first video was a publicist’s dream, a puff piece that no serious news organization would air. What appears in The Daily Signal matters because it is assured a large audience eager for reinforcement of deeply embedded views, but no real evidence that would challenge or even bring into question the factual basis of those views. Reader comments on the Signal’s first investigative piece – the only solid piece of fact-based journalism it published Tuesday – showed just how eager Signal readers are to read confirmation of their biases into pieces and to ignore inconvenient facts, especially subtly presented truths that run contrary to the Heritage Foundation’s well-established perspectives. What does NOT get reported is just as bad as fake by not reporting news because it oesn't fit their agenda. 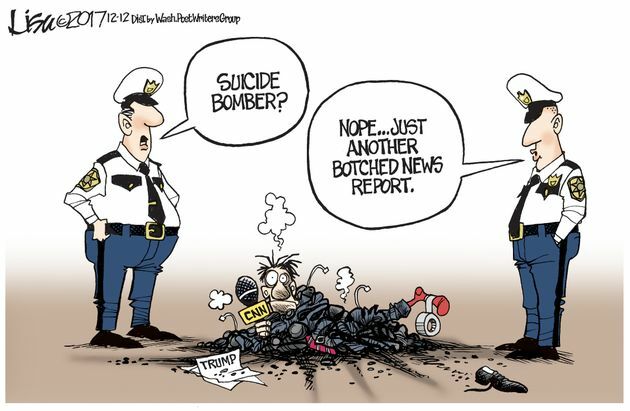 What does NOT get reported is just as bad as fake by not reporting news because it ***((oesn't********* fit their agenda. Just like your response, doesn't add up to logic, which is your major obstacle......to smart people, most logical things makes sense. It's rather perverted and dysfunctional that little "Donnie" gets poor grades and fails to get along with other (sounds like a primary school setting) and guess what the parents retort? "you're picking on him" You teachers have something against little Donnie" and best one, he's the smartest kid in the class and the rest need to catch up to him" My wife being a teacher says that his profile, behavior and personality is that of a 8 year old and without intervention, he will more likely become a juvenile delinquent, well he's now 71 yrs old with no proper parental guidance, we now know the rest of the story. President Donald Trump falsely claimed on Wednesday that he had signed more legislation than any of his predecessors at this point in their terms. It is true that Trump had signed more bills in his first 100 days than any president since Truman, but as Trump nears the anniversary of his Jan. 20 inauguration, he is far removed from his 100th day. And he has now signed the fewest number of bills into law of any first-year president dating back to Dwight Eisenhower, according to a recent report from the website GovTrack. The report was published last Thursday, a day before the president signed a $1.5 trillion tax-cut bill and headed to his Mar-a-Lago club in Palm Beach for the holidays. Trump repeated his claim to first responders that his administration had passed a lot of legislation, though last week’s tax bill was the first and only major legislative achievement of his presidency thus far. 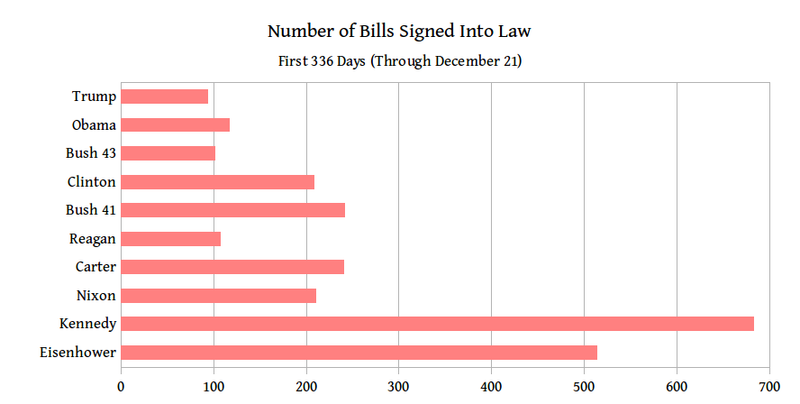 And, according to GovTrack, Trump has signed fewer bills at this point in his presidency than George W. Bush had — and less than half as many bills as Bill Clinton and George H.W. Bush had at this point. So, while the Left whines, Americans are getting relief. The economic growth this quarter is at solid four percent. Consumer confidence is at a 17-year high. Unemployment is at a near two-decade low. Every indicator also shows that the biggest bonus this country received this year was Hillary Clinton not being elected president. Any news which professes to be news deserves to be fact checked. Almost all news is more opinion than fact. Of course I question articles from obviously biased links but Google has become one of those biased links. I never noticed it until I checked it out. I use Norton Safe Search. A search on Google to any conservative web site will note in the sidebar that it is a conservative web site and who founded it. 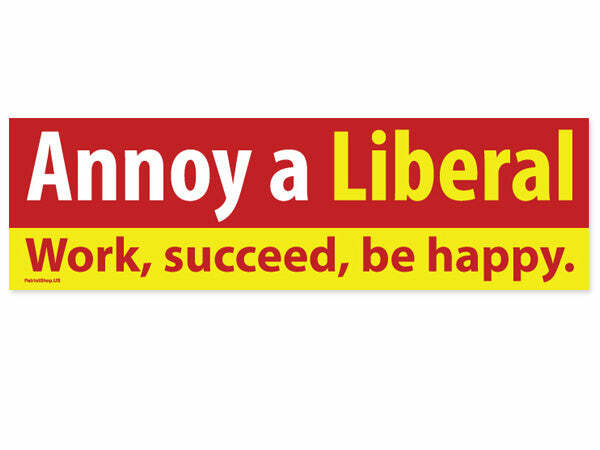 But they do not do the same for Liberal web sites. Sometimes they note that malware exists on the site when it does not. They claim a statement made is a lie when the snippet isn’t even in the article. According to numerous readers of the award-winning conservative Internet news and commentary web site, NewsWithViews.com, readers are being lied to: a popular web browser, Google Chrome, falsely tells NWV readers that "malware" exists on the web site. When you Google our previous news article "Giuliani supporting Trump in NY primary despite GOP attempts to derail campaign" then click on the link, the following warning pops up "Warning — visiting this web site may harm your computer!" You may want to consider using an alternate search engine for the time being such as 'StartPage.com, Yahoo.com, and there are plenty others, Etc. This is allegedly seen with news stories that address political and social issues from a conservative or libertarian perspective especially positive stories and comments that are favorable to GOP front-runner Donald Trump , according to several writers and the editor at NWV, Paul Walter. The Daily Caller also even makes the claim that one of the stories that Google says is “three Pinocchios,” the Daily Caller says the sentence Google “randomly” chose to evaluate isn’t even in the article. In the snippet that Google chose for The Daily Caller’s (DC) article, they make it appear that DC is claiming that all of the people hired to investigate the Trump administration and Russia is entirely composed of Clinton donors, when really the story simply states that Robert Mueller hired a Clinton donor to aid the investigation. Not only is this brief and confusing way of fact-checking an article wrong, but Google has this feature almost exclusively for only Conservative news sites. Google also shows that major news corporations like The New York Times, The Washington Post, and the Los Angeles Times all seem to be too high and might to deserve a “reviewed claims” section and instead not only have a “writes about” section but also showcases all the awards they’ve won. Apparently the bigger news (and mostly left) news publications are just too good to have ever possibly made a false claim. Not so strangely YouTube has been deleting conservative videos because Google owns it. Founded in 2005, YouTube was bought by Google for $1.65 billion the following year. The YouTube channel of influential conservative politics and law website Legal Insurrection has been removed by the video sharing service, citing copyright infringement claims. “This account has been terminated because we received multiple third-party claims of copyright infringement regarding material the user posted,” explains YouTube, in a notice posted to channel’s page. Legal Insurrection founder and publisher and Cornell University Law Professor William Jacobson voiced his anger and astonishment at the channel’s removal. “It’s very frustrating, it’s very scary, to have 8 years of content removed without a chance to defend yourself,” he told FoxNews.com. In an email, Jacobson said that he never received notice of the claims prior to the channel's removal on Thursday. On Friday the publisher received notification from YouTube that the copyright claims were filed by the Modern Languages Association (MLA) based on audio posted of a recent MLA vote on a resolution to boycott Israeli universities. The boycott resolution at the MLA Delegate Assembly failed. The mega monster search engine that everyone uses, Google, has now decided to become a partisan fact-checking site that only tells viewers how factually wrong conservative sites are while not even touching the liberal news sites, reports The Daily Caller. In a new feature, Google has employed on their search engine page, whenever you search a news outlet a sidebar will pop up that shows “Topics they write about,” and if you go to a conservative site then they also have a “reviewed claims” section. DC also says that the fact-checking sites that Google is using are far from bi-partisan and have been known to make mistakes themselves. Snopes is one of the sites and has deliberately omitted key details in order to protect John Kerry’s State Department before. The fact-checking feature does not, however, show up on left-wing liberal news sites that sorely need to be checked themselves. If you Google sites like Salon, Crooks and Liars, Bustle, Think Progress, Huffington Post, Alternet, Jezebel, or Infowars, the fact-checking feature does not pop up and you are not told how much of liars they actually are. I almost spit my coffee out over your narrative of "Fake" news. Maybe the next time you use the fake news nomenclature, please supply mainstream citation versus "underground" link to support your opinion. Now back to fact, we have two Republican gents having plead guilty to crimes, unless you can supply underground citation disputing those cases. Did you know that being a farmer qualifies you as somewhat an expert in that field and Google will accept your expertise in the matter as submission that can be added to the search engine but the downside to this particular situation, review your past postings and ponder how many like yourself are readily adding to the search engine, thus the reason that contractors as myself contain their knowledge to the learned trade that were proven adverse to self proclaimed experts. I think that you're getting the trend here, a bunch of self made "expert" coming here and getting upset when their so called expertise is called into question......while attempting to forget one basic FACT that 2 plus 2 equals 4, a tried a and true answer. Hey, take a little time to respond with an alternative answer if it isn't 4. OMG. Really? Is that true of other high school sports like football or basketball too? So only kids from upper middle class families get to play sports? Fake news, every school district's has a spending budget which includes items as sports and other extracurricular activities like musical band, field trips, skiing etc. You're absolutely correct that only upper middle class could afford said school district if this were the actual scenario. There's a possibility that his narrow mindset would only make "certain" kids qualified for such an affair. Let's also remember that Tennessee has one of the poorest schools in regard to SAT grades and graduation rates. Well it appears that the schools join the Secondary Schools Sports Association and the association runs the programs and it includes all sports. http://tssaa.org/ It is not tax funded. One of the main requirements is that students have to have good grades. There may be ways to cover funding for poor families but I know what my next door neighbor pays. Yes 10% appears to be a lot but it’s only 2 cents on the dollar more than New York and much less than the $4,000 a year in school taxes I was paying. I just know that I can buy three packs of my pipe tobacco for less than it used to cost to buy one. TN grows tobacco so the tax is less on this disgusting cancer-causing product. This has to be one of the silliest, least nuanced collection of inaccuracies you've ever had the nerve to post. Over 70% of the debt increase under Obama was the direct result of W's unfunded, illegal wars ( 5 trillion $ MINIMUM) and tax breaks to the wealthy (3.5 Trillion $). Another 8% was already earmarked and committed through previous legislation that would have actually increased the debt even further, had they been suspended. The violent crime rate has actually decrease or remained virtually unchanged during his tenure in office. Most detailed estimates report a decrease of violent crime of around 16%. The "wire transfers" to Mexico that you single out are only the tiniest fraction of a percent when compared to that of corporate tax subsidies, shell-games and overseas tax havens for the super wealthy. Border "adjustment" fees would not only set off worldwide retaliation, but would realize very small returns. Mexico's Trade deficit with the US is actually immensely beneficial to the US. In fact, as with all national trade, the wealthier they become, the more they buy from the US. And you want to start an all but certain trade war. Perhaps Republicans lawmakers shouldn't have secretively stripped Clinton's Extensive Fair-Trade Protections from NAFTA at the last hour. Nice going, Richie. Once again you've proven that you've never met a "fact" that you couldn't mangle to fit some contemptible narrative. Hello Sparky: I see Ashland got cited by the FDA back in 2014 the year after I sold my tree farm and moved. I wasn’t aware that they sold it though. It’s humorous that you haven’t got a clue. Timbo, where to start? I see how wars started under Bush are considered Bush’s fault but after Obama got elected partly to slow things down he actually attacked three more countries than bush did plus continued the Bush wars. After eight years under Obama continuing past policy, that can hardly be described as a Bush fault. No, they were Obama wars. Obama gunrunning weapons to the enemy didn’t help any. The New Madrid fault line in Tennessee is about as close to what one could refer to as Bush’s fault. The feds lost $11.2 billion in the GMC bailout. Obama’s regulations cost corporations $488 Billion and the feds spent $93 Billion enforcing their own regs. Yes, corporations get tax breaks and the maximum was lowered, but the GOP had originally intended to abolish the AMT. But on Friday, with the clock running out — and money running short — Senate Republicans put the AMT back into their bill. Unfortunately for McConnell, they forgot to lower the AMT after doing so. Then there was Moochelle’s friend who spent half a billion dollars err 400 million creating an Obamacare web site that didn’t work. I agree the crime rate has decreased consecutively for many years coinciding with record gun sales. However illegal immigrants who comprise only 3.5 percent of our nation’s population, are convicted and sentenced for the crime of murder at a rate of three times that of their American citizen and legal immigrant counterparts. Cost to incarcerate in federal prison those caught is $1.2 Billion which does not include the justice system costs. A billion here and a billion there and pretty soon you’re talking about real money. The only positive thing Obama ever did was the cash for clunkers because it got so many Obama bumper stickers off the road. Yes, the wall will pay for itself. I have only to look up past invoices son to make a serious liar out of you but lets be fair, 2014 as you've noted is past my need to play cat and mouse with you, so continue to keep up the charade, I'm retired and moved on.....how about you?????? As you've stated, it is very humorous to observe someone that claims fake new and no clue but display a serious need to vindicate themselves. I have nothing to vindicate. Your own fake posts are as clueless as the fake news as you follow my cousin. At least you’re on the right thread. LOL, if it's your "cousin" , then you have nothing to speak of, so why the response son? More accurately, it appears that you're the "clueless" individual to keep up the bantering when previously warned of your infraction.Sound just like Trump when caught read handed.....deny...deny...deny. I wish @MichelleObama would look at me like @mike_pence looks at @realDonaldTrump. The war is going well. The MAGA’s launched a barrage of red hats at us yesterday, but we retaliated by making them read books. They’ve created an image of strength but are very weak. We will win. Send my love to Roscoe. As long as Trump is attacking anonymous sources: he was also one of mine - as with most biz reporters. But I was taught by my editor that when trump said “off the record” it meant “I’m gonna start lying now.” So I never used anything he said anonymously without 2 more sources. It speaks volumes that Bill Shine, accused of covering up sexual harassment at Fox News, will now lead the communications team of an admitted sexual predator who has silenced women. But But Trump just said the world now loves America again. What a joker he is. Magid Magid, a British-Somali activist and the Lord Mayor of Sheffield, says he's banning Trump from his city.